Anderson O’Brien Fine Art is currently offering Christina Narwicz, Treasure Island at its 1108 Jackson Street location in the Old Market until June 3. 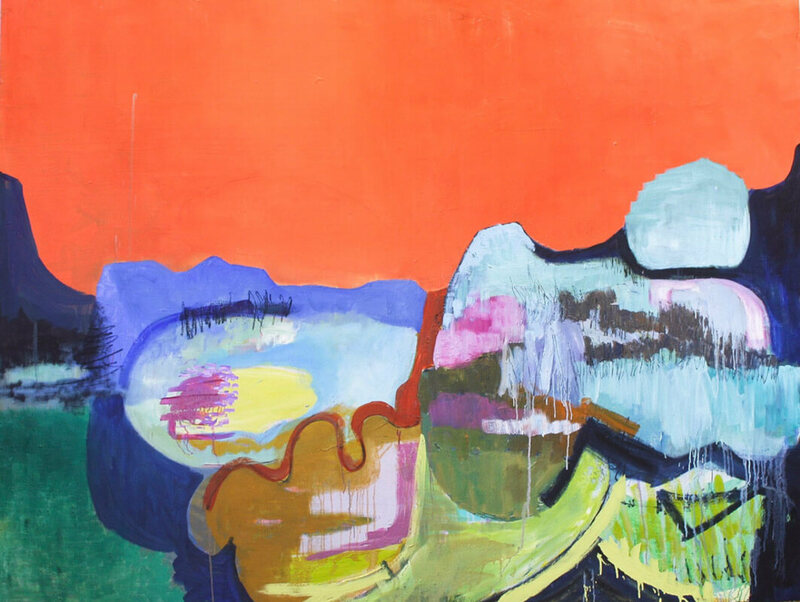 Narwicz’s colorful paintings-all abstracted patterns and organic forms-are concerned with an ephemeral and unspoken language that exists in our natural environment according to the show statement. The artist’s evolving work continues to emphasize the elements “that we all react to without any conscious knowledge; the semiotics of our biological programming that is connected to all other things both living and inert in our universe.” Treasure Island is Narwicz’s attempt at manifesting the idea that the “treasure” exists within us all. Narwicz has exhibited nationally and internationally in both solo and group shows. Her paintings have been featured in publications such as The Reader, Metropolitan Home, Omaha Magazine, The Briar Cliff Review and The Omaha World Herald. The former awarded artist-in-residence at the Bemis Center for Contemporary Arts has received grants from the National Endowment for the Arts and the Mid-America Arts Alliance as well as three individual Artist Fellowship awards from the Nebraska Arts Council. In 2012 she was nominated for the Joan Mitchell Foundation award and earned her BFA from Alfred University, New York State College of Ceramics and currently resides in Omaha, Nebraska. Get On Up, Get OutThe Bard arrives in many guises.